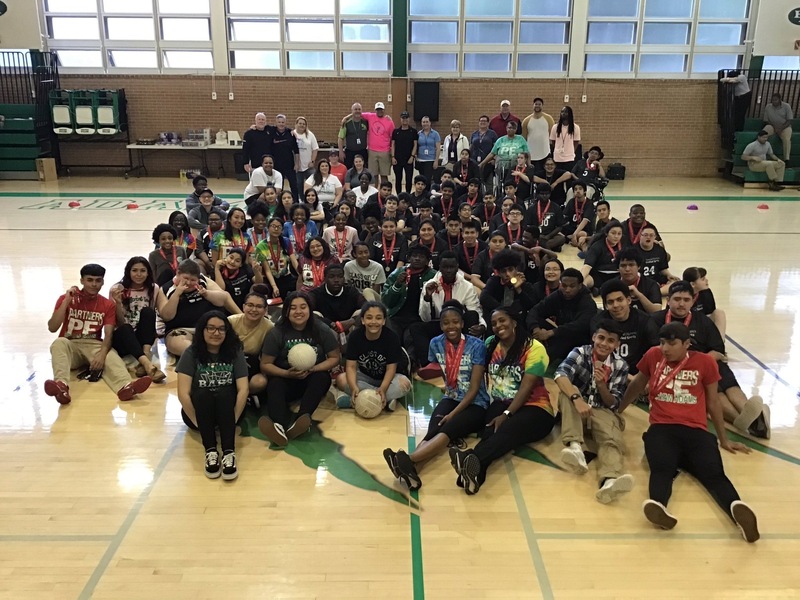 The first annual United Champion Cougar Relays was held on Wednesday April 17 at Bryan Adams High School. The event was organized and spearheaded by Bryan Adams Head Football Coach Sean Lorance. Coach Lorance said he began in November of 2018 and was amazed at how many groups were willing to dive in and help. Unified Champion Schools is the concept of partnering special needs kids with general education students. 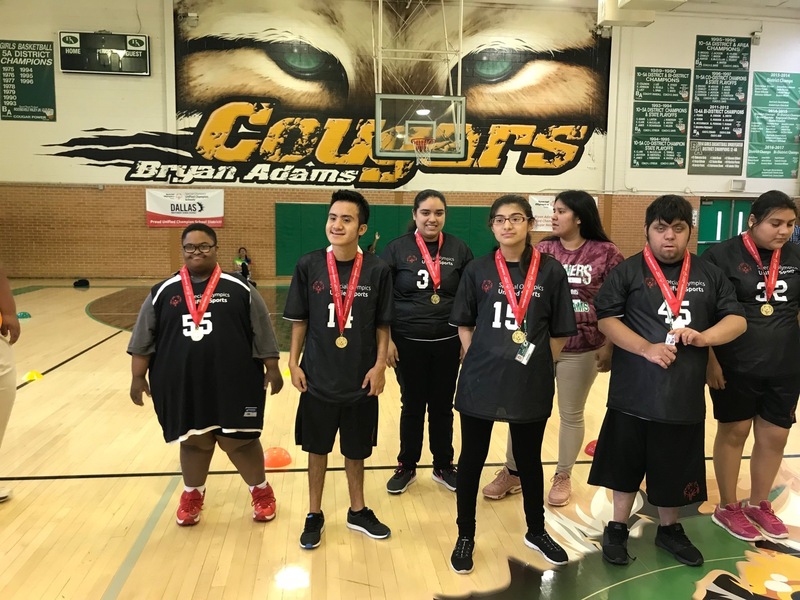 In this case Cougar female and male athletes competed alongside our Cougar Special Olympians in various running and field events. The event was a huge success due to the tireless efforts of many organizations and community members. Unified Champion School partner with ESPN to drive this concept across our nation. They donated 75 new uniforms for our Special Olympians and the award medals at our event. 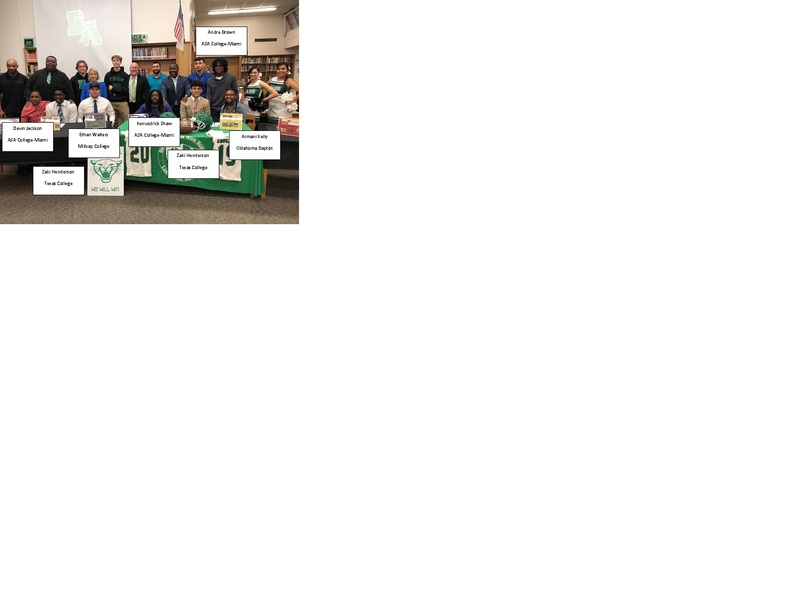 Special Olympics of Texas donated the banners on display, Dallas ISD Special Education and Adaptive PE provided equipment and volunteer's. Edmentum a national educational software company proved volunteers and Lakepoint Church provided breadfast and lunch for all participants. A heartfelt thanks of these groups and the many community members who gave of their time to help the event run smoothly. Go Cougars & Unified Champion Schools. 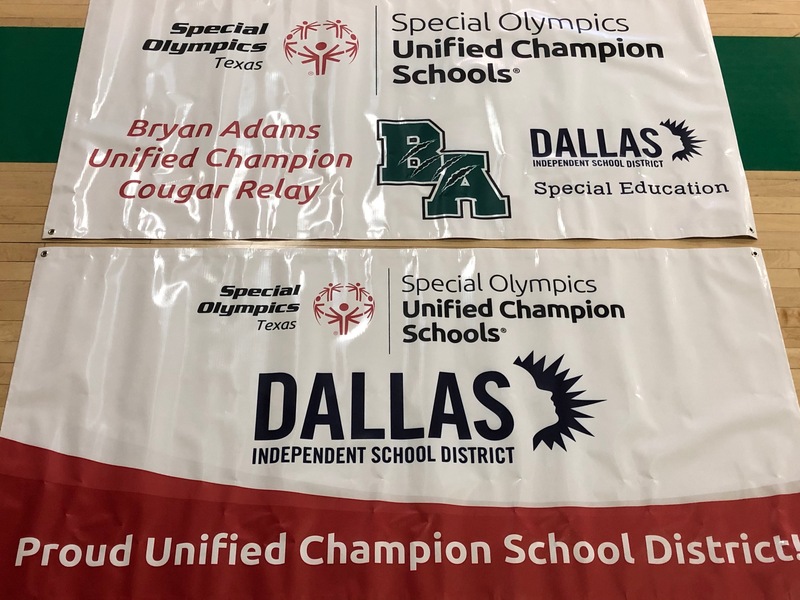 The Bryan Adams Cougars will be hosting the first United Champion Special Olympics track meet in the history of Dallas ISD. For more information contact; Sean Lorance (rlorance@dallasisd.org). A large group of community members and organizations had to come together to make this event a reality. The community and public are invited to attend if they would like. Congratulations to Bryan Adams Cougar football player Ethan Walters on his nomination for the 2019 National Football Foundation Scholar-Athlete Award. Ethan attended the NFF banquet along with athletes from around the area. It was a great experience for all and something Ethan will remember for a long time. 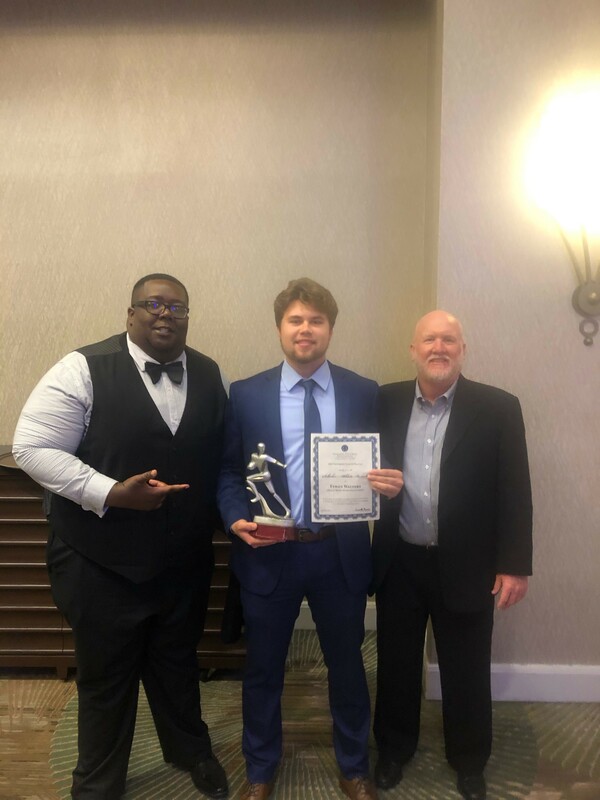 The National Football Foundation Scholar-Athlete Awards Banquet was held Sunday March 24, 2019 at the Dallas Marriot Quorum in Addison, Texas. 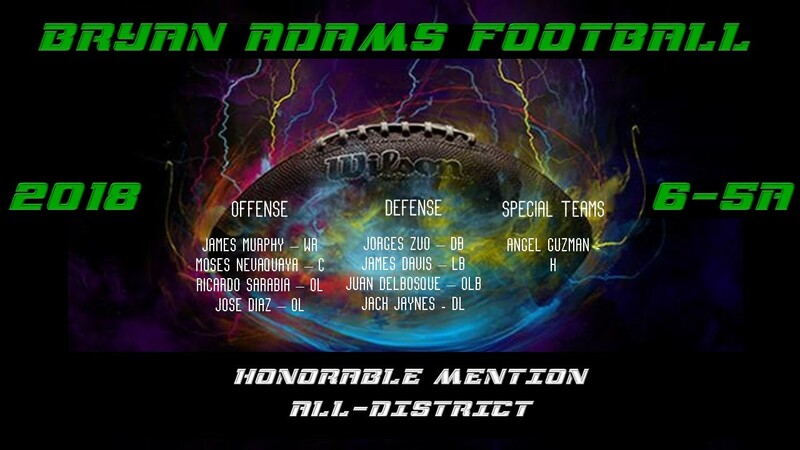 Congratulations to Bryan Baldomero. 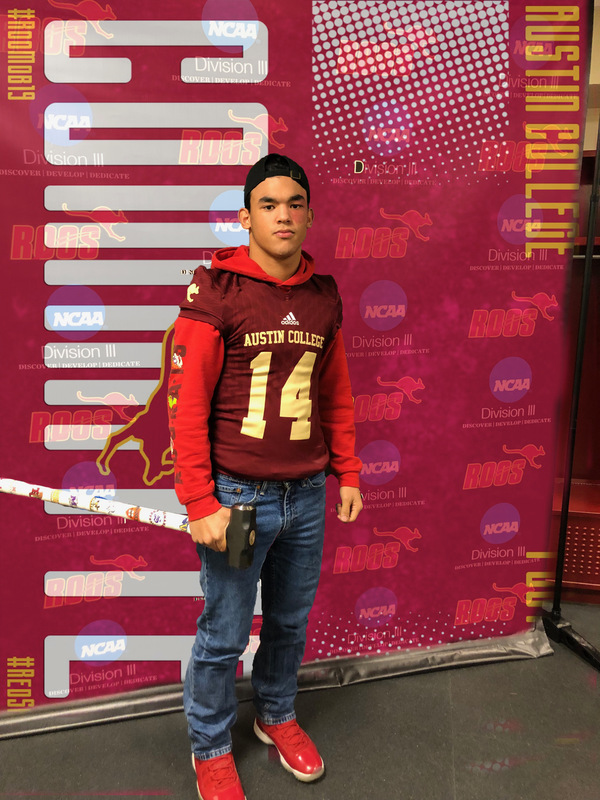 The current Bryan Adams Cougar and former Gaston MS Panther received an athletic/academic scholarship totaling 84,000 dollars to attend and play football at Austin College. We are very proud of Bryan's accomplishment and look forward to following him in the future. The 2019 Cougar National Signing Day was a success. Our young men, and 1 woman, had a private signing ceremony at the Bryan Adams Library. There was a big crowd on hand of faculty, friends, students and family members to help celebrate the accomplishments 8 Bryan Adams students. Later that day all participated in the DISD Signing Day Ceremony at Ellis Davis Fieldhouse. 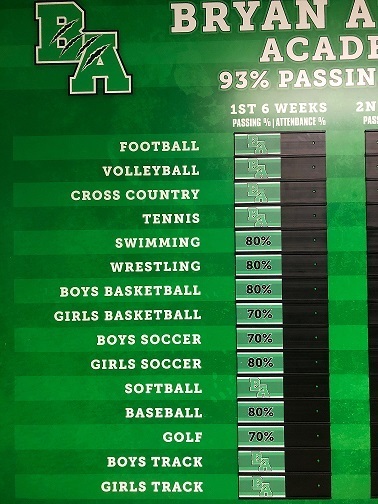 The Bryan Adams athletic program has a goal board in the athletic hallway for posting the passing rate of all athletic programs. 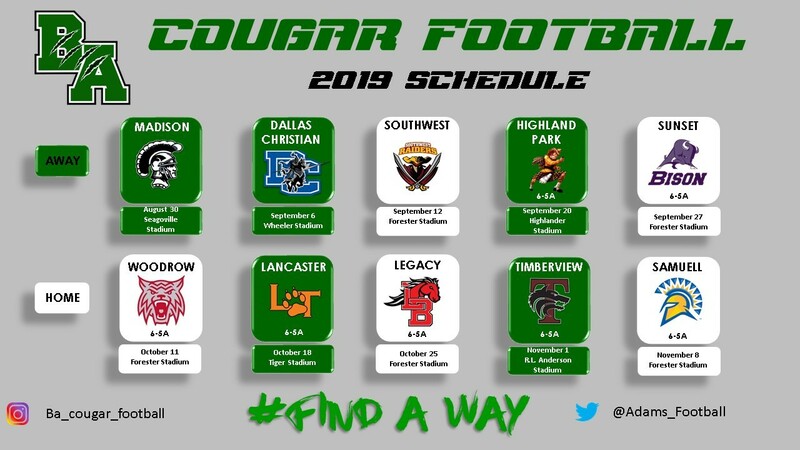 The Cougars have 530 student-athletes across all sports and 470 passed all of their classes for the first six weeks, this translates into an 89% passing rate for all Cougar sports programs. The Academic Success board is prominently displayed in the athletic hallway and is clearly visible to the entire campus. A BA logo or % number is placed by each sport for each six weeks of the school year. A BA logo means a passing rate of 93% or better, a % means the grades fall within that %. The football program improved on last years 93% passing rate by responding with a 95% passing rate in year two of Coach Lorance's program. There are currently 101 student-athletes in the football program and in the first six weeks 96 passed all their classes for a 95% passing rate.